Increasing requirements on the material sector lead to ever more complex manufacturing processes. The advancing development in the field of materials science has fundamentally changed the necessary thermal processes. More complex plant engineering and increased efficiency requirements inevitably lead to a stronger individualisation and automation of thermal systems. 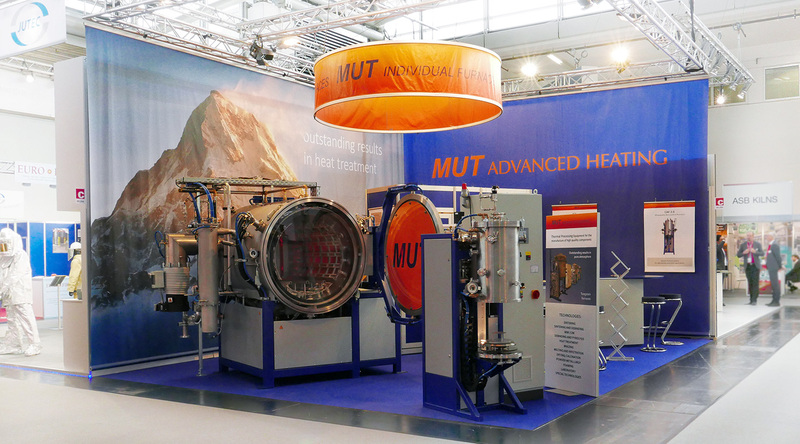 MUT Advanced Heating GmbH is an innovative company offering customized solutions in the area of heat treatment, Debinding and Sintering. We are utilizing our in depth expertise in development, engineering and manufacturing. Various in-house departments (Design, Process Engineering, Safety Engineering, P&I, Electrical Engineering and Software Department) work out the fundamentals of planning for the various different production areas. Huge depth in our in-house production with special workstations for high-temperature components enables an efficient and flexible project management as well as shortlead times when service is needed. In addition to the traditional engineering activities such as design, process engineering, safety technology, electrical engineering and software development, we are specialists in the production of particularly vacuum tight vessels. We are a welding specialist and have the appropriate HP0 approval for the production of pressure vessels. For the different needs for the production of the corresponding furnaces, we have separate premits such as manufacturing of insulation, graphite processing, sheet metal processing as well as the integration of furnace systems. In addition to the traditional engineering activities such as design, process engineering, safety technology, electrical engineering and software development, we are specialists in the production of particularly vacuum tight vessels... more We are a welding specialist and have the appropriate HP0 approval for the production of pressure vessels. We are specialists in high temperature technologies and processes and consistently break new grounds in the area of heat treatment. We develop unique and customized processes and apply a sophisticated controlling technique and reliable safety features and equipment. With our sector-specific know-how, we develop for our customers individual solutions in the areas of powder metallurgy, technical ceramics, glass technology and in many other high technologies in the materials sector. We write detailed quotations according to your expectations and specifications. After the Purchase Order is placed, each order is checked technically and with regards to content and formally confirmed by an order confirmation. Afterwards the project plan of the furnace equipment and installation is scheduled. For each project, a detailed time schedule will be prepared with release dates for: design, piping and instrumentation flow chart, safety concept and electrical drawings. After approval, the manufacturing of the furnace equipment takes place. If possible, every furnace equipment will be tested for its proper function in our factory by a factory acceptance test with the end customer and approved for delivery or if necessary with reworking. The furnace systems are dismounted by our staff, transported, re-assembled on site and put into operation. During commissioning, the training of the operating staff can take place. With the side acceptance test of the furnace equipment the project will be finished. For warranty cases, spare parts, assembly or furnace equipment maintenance, you can ask our aftersales team. MUT is located in the midst of the technology region of Jena, which was labelled „City of Science 2008“. 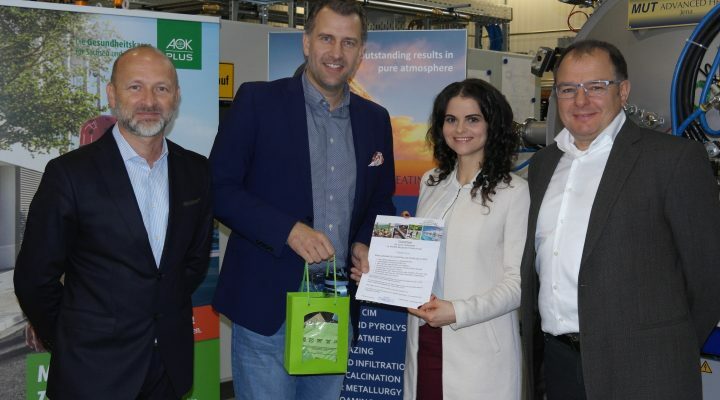 We benefit from a widely ramified net of universities, research institutes and numerous ancillary companies, which have settled in the proximity of the famous enterprises like Carl Zeiss, Schott and Jenoptik. 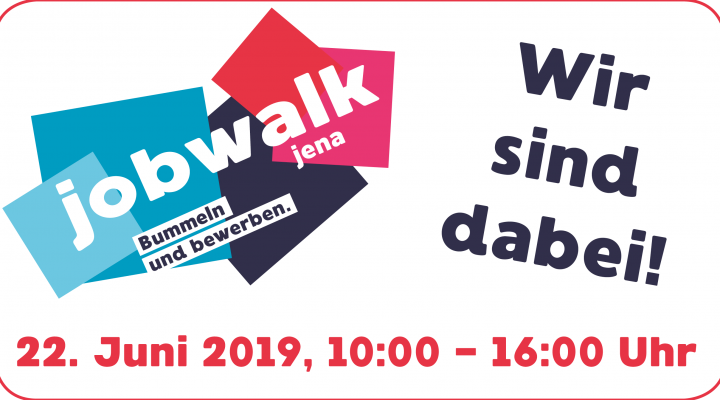 You will find us at the site of the former gasworks of Jena, on a production area of about 2300 qm. MUT is located in the midst of the technology region of Jena, which was labelled „City of Science 2008“. We benefit from a widely ramified net of universities, research institutes and numerous ancillary companies, which have settled in the proximity of the famous enterprises like Carl Zeiss, Schott and Jenoptik... more You will find us at the site of the former gasworks of Jena, on a production area of about 2300 qm. Increasing demands on the materials sector lead to increasingly complex manufacturing processes. The advancing development in the field of materials science has also fundamentally changed the required thermal processes. More complex system technology and increased efficiency requirements inevitably lead to greater individualization and automation of thermal systems. MUT is your partner for individual heat treatment solutions and stands for modern designed and customized high temperature furnaces. Start-up of MUT Mikrowellen Umwelt Technologie by Heinz-Jürgen Blüm as a private company. 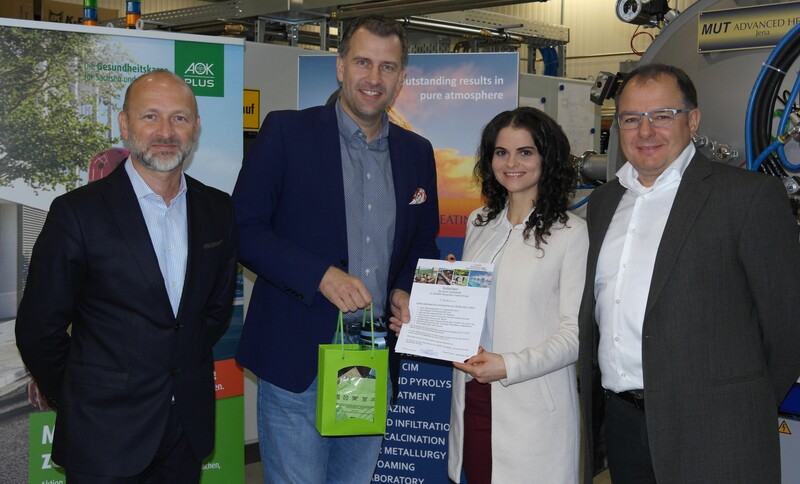 The company moves into premises in Jena Technology Park. With special know-how in thermal processes of all kinds, the team, which is rated at around 50, realizes international projects in special plant construction. Our systems are characterized by innovative techniques, modern process control and user-friendly automation. Individual solutions and customizable products. Since 1994, MUT ADVANCED HEATING GmbH has been designing and manufacturing custom thermoprocessing equipment and systems in the glass and ceramic, metalworking, powder metallurgy and carbon and chemical industries. We design systems for modern processes in sintering, debinding, joining techniques, heat treatment of aggressive substances as well as in the areas of high pressure and hot gas. In house planning department for project planning, design, process and safety technology, electrical engineering and software development ensure coherent engineering from a single source. Separate final assembly area in a hall with increased cleanliness. 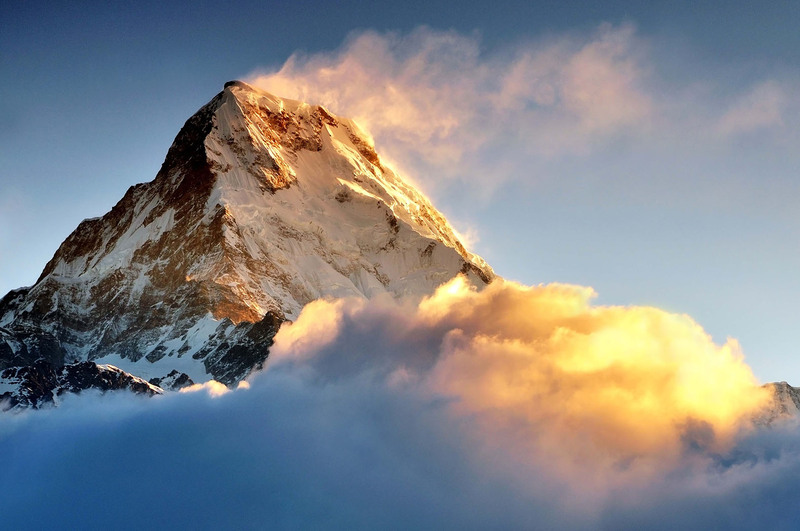 Own know-how is consciously improved and expanded. In particular, through the approval as a manufacturer of pressure equipment, we are in a position to define the optimum choice of materials with the end customer and to guarantee the professional and proper execution on the basis of certified processes. In the course of the further development of competences and technical abilities in the area of ​​special equipment construction and pressure devices the enterprise has reached the following certifications. Show more products and informationsLearn more about our products and services. Show more informations about application proceduresLearn more about our processes. More newsAlways updated about our factory. Need more informations? Get in touch with our support team!